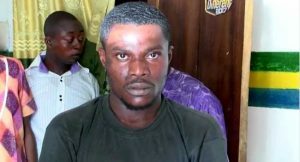 Police have arrested and begun interrogating a man suspected to have masterminded the food poisoning that led to the death of a couple in Ogoja, Cross River State. The suspect, identified as Paul Amon and said to be a food vendor, is believed to have intentionally poisoned the food as a way of getting back at people in the community. Channels Television gathered that 41 of his victims have been discharged from the hospital, while the others are still receiving treatment at the General Hospital in Ogoja. In an earlier remark, the Cross River State Commissioner for Health, Dr. Inyang Asibong, described the incident as a disaster. Dr. Asibong said the symptoms displayed by the victims include vomiting, foaming in the mouth, body weakness and spitting of blood. “My Ministry is on top of the situation to find out the root cause of this occurrence and has dispatched a team made up of epidemiologists, doctors, community health workers and other related health staff to the affected communities. “The team of experts are to ascertain the real situation on ground and offer immediate medical assistance to all those affected,” she said.